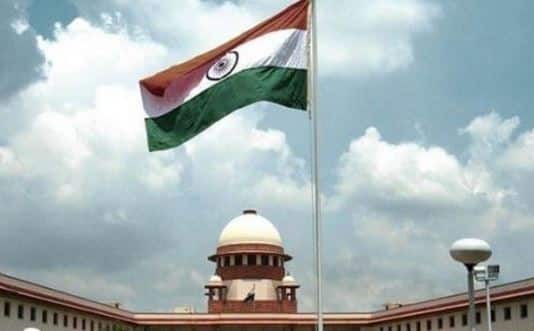 NEW DELHI: An application was filed by State of Jammu and Kashmir in the Supreme Court on Monday seeking adjournment of the hearing on a batch of pleas challenging the constitutional validity of the Article 35-A relating to the special rights and privileges enjoyed by the state. The apex court is scheduled to hear this matter from February 12 to February 14. The standing counsel for the state of Jammu and Kashmir Shoeb Alam urged the SC to adjourn the hearing in this matter till the state gets an elected government. It is to be noted that Jammu and Kashmir is currently under President’s rule. On January 23, the SC had said that it would take an “in-chamber” decision on listing of a petition challenging the constitutional validity of Article 35-A. The matter was mentioned by Advocate Bimal Roy before the bench headed by Chief Justice Ranjan Gogoi. The other two judges in the bench are Justices L Nageswara Rao and Sanjiv Khanna. Article 35-A was incorporated in the Constitution in 1954 by President Rajendra Prasad on the advice of the then Cabinet headed by Jawaharlal Nehru. It accords special rights and privileges to the citizens of Jammu and Kashmir and bars people from outside the state from acquiring any immovable property in the state. It also denies property rights to a woman who ties the knot with a person from outside the state.